Rooted in Buddhist meditative practice, in recent years Mindfulness has seen a tremendous worldwide recognition and adoption in a variety of contexts as an effective method to improve emotional health and nurture emotional intelligence. The Center for Mindful Awareness (CMA) is a nonprofit organization that works to improve the physical and mental health outcomes of marginalized and underserved populations through the teaching of Mindfulness. An early adopter of Mindfulness practices, the CMA approached We Are How to help position them as a leader in the field through a comprehensive rebranding to catalyze the next chapter of their work. As a connection to one of the central techniques of mindfulness — focusing one’s attention on their breath — We Are How visually echoed the idea of breath in the resulting branding, which was designed to evoke a sense of splendor balanced with calm clarity and humanity. 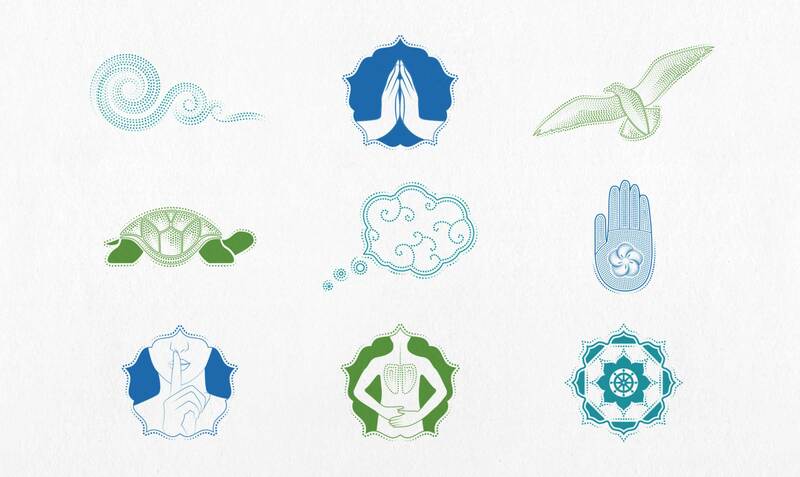 During our design process, we wanted to convey the brand’s Buddhist roots, but with a more contemporary feel which speaks to a broader audience and avoids dominant “new age” and “self help” visual cues.